Siquijor has been known in the Philippines as the island shrouded in mystery. 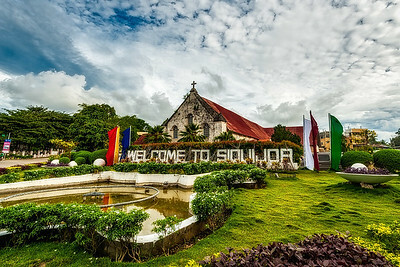 Mention Siquijor and most of the Filipinos will think of witches, love potions, vampires, animal sacrifices, and paper dolls dancing by themselves. 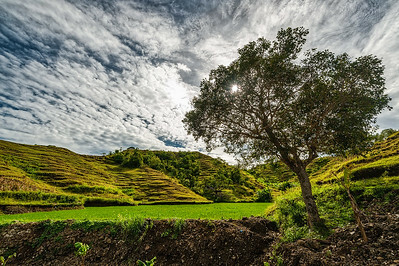 True or not, those stories along with the mostly untouched nature, surely add to the charm of the island. 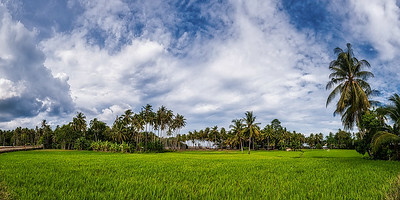 It is also very laidback and it offers a more Filipino experience as not many tourists go here yet. Besides, shamans and witches are curious stuff of legends and maybe someone could have a good use of love potions. You don't see that many flowers here in the Philippines compared some other countries. This house just stuck out because of it. As I stopped my motorbike to have a look, tens of butterflies flew around. 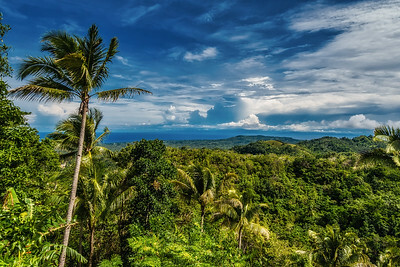 Siquijor, Philippines. 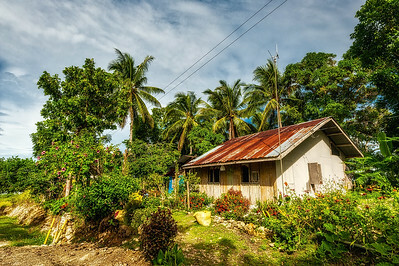 View while driving my motorobike through the centre of Siquijor, Philippines. Pretty nice ride, one of my favourite on the island. 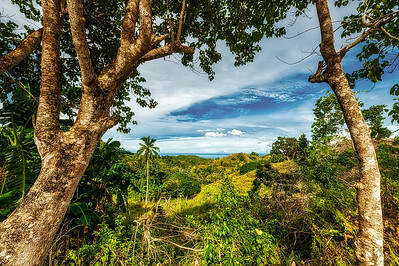 Landscape during my ride through the centre of Siquijor, Philippines. 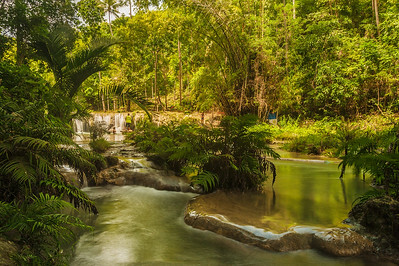 Long exposure shot of the Cambugahay Waterfall, Siquijor, Philippines. 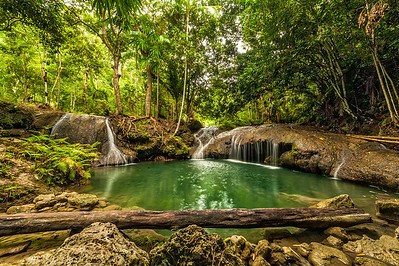 This waterfall is one the main attractions in Siquijor for a good reason, it's a great place with 3 terraces of waterfalls, all good for swimming. There's a swing as well. The first day I arrived here it was raining pretty bad, the water was very brown colored and all in all not very attractive. I was glad to have returned the next day. 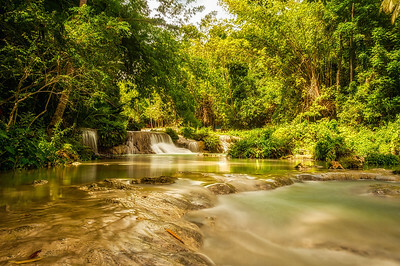 Long exposure shot of the Lugnasun Waterfall, Siquijor, Philippines. 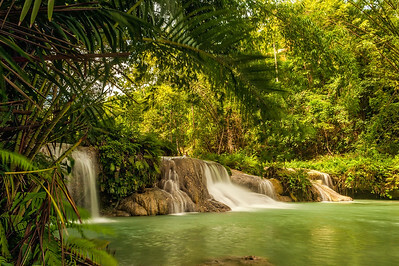 This waterfall is one the main attractions in Siquijor for a good reason, it's a great place with 3 terraces of waterfalls, all good for swimming. There's a swing as well. The first day I arrived here it was raining pretty bad, the water was very brown colored and all in all not very attractive. I was glad to have returned the next day. 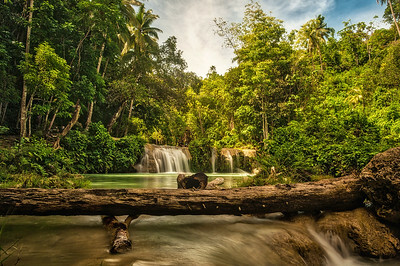 Long exposure shot of the Kawasan Waterfall, Siquijor, Philippines. Right next door to the Luganson waterfalls, this one doesn't get too many visitors. It a 15min walk with steep steps down, but a nice quiet place to go to and where you can swim. At one of the highest points in Siquijor in the centre of the island (Philippines). 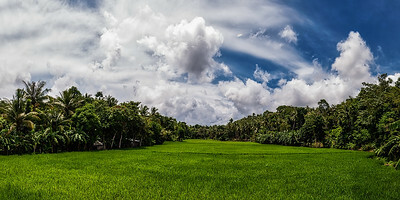 Ricefields of Siquijor, Philippines. View while passing the towns in the south of the island. 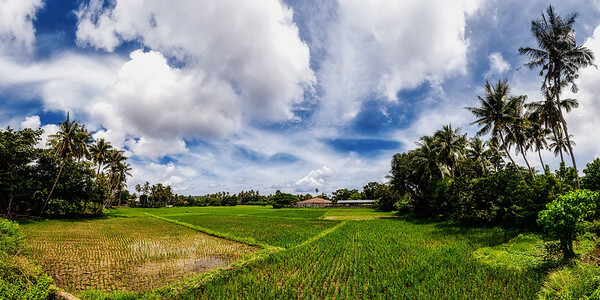 Panoramic shot, stitched together. 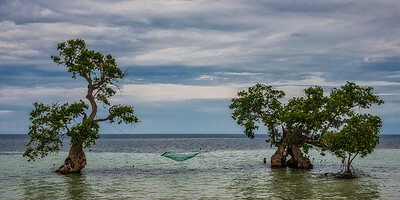 At the west of the island of Siquijor, Philippines, there's this hammock between these 2 beautiful old trees. Doubt there's ever anyone in there..